Angel, and private tuition 7 days a week. For workshop themes check our Facebook or Programme. tango group & private classes. Andalusia (Sept 26 - Oct 1, 2019). We live and breathe tango and our passion is contagious! We are based in Angel, London and do all things tango-related: classes, milongas, corporate events, clothing & holidays to Buenos Aires. We are blessed with students who say lots of nice things about us! Most Sun. 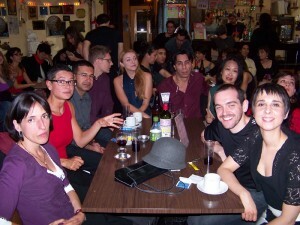 at Unity Class & Milonga at Los Angelitos 2pm – 7.30pm. Every Sunday EXCEPT the last of the month. Discover our class themes this month and our full yearly curriculum. With us, you know where you are going, thanks to our yearly plan, well-structured classes & unique methodology developed through years of teaching. Dancing about already? 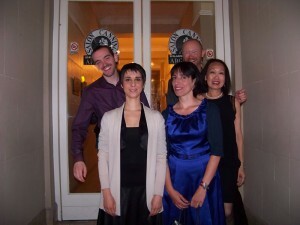 Join our group classes and milonga social dancing (Wed & Sun) in Angel. No experience or partner needed. Private classes are the icing on the cake to help you progress quicker and become great to watch and to dance with – Ideal on your own or with a partner. £6 off your first class, up to £100 off discounted packages for group and private classes. If you like freebies, have a look! 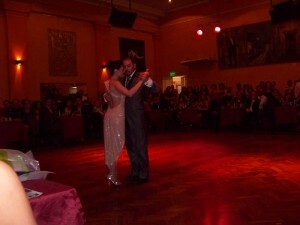 Tango makes an ideal wedding first dance: in turn intimate, passionate, fiery, and exciting to dance and watch. No experience required. Wedding packages available. Tango was a quite an unexpected and even a daring ‘matrimonial dance’ choice for us considering neither of us danced tango or took any salon dance classes in our lives. Overall, it’s been a truly special first dance (and a journey) for both of us, during which we had an amazing time. I’d recommend it to everyone. 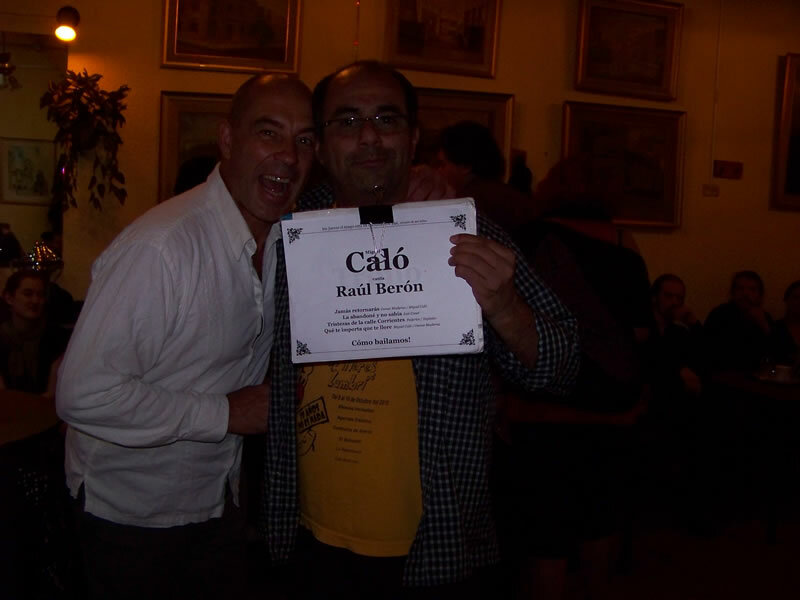 Bruno and Nathalie are great teachers, and their classes, both individual and group, are excellent and were crucial to getting us to the point where we can, in fact, have a decent Tango wedding dance! Thank you Bruno and Nathalie. We’d heartily recommend them to anyone who wants to learn to dance Tango. On our wedding day : all our guests LOVED our first dance. People were so excited and cheerful. Almost everyone took it on video and no one would believe we achieved it in 7-8 lessons only. I loved my wedding: but our first dance will definitely go down as one of the main highlights of the day. I would recommend it to anyone!!!! 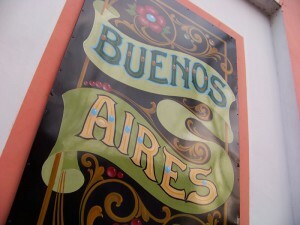 Experience the magic of Buenos Aires this summer! 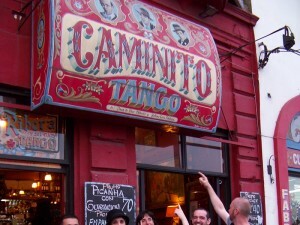 Our next trip to Buenos Aires, the thriving birthplace of tango will be from 10 to 22 August 2019. 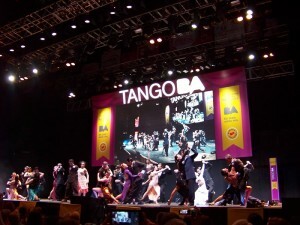 We’ve packed a lot of activities in our 13-day trip: tango tuition with world champions, milongas, city tour and even a day trip out of Buenos Aires! Bookings are open; spaces are limited so please inquire now. Tango adds sparkles to any event. We worked with the Wellcome Collection, the Royal Festival Hall and various corporations for product launch or team building events. The Tango Master Class provided by Tanguito was a great team building experience: perhaps there were a few sceptics when the activity was first disclosed to the group, but in the end it resulted in a fantastic way to interact as a group and also to get rid of some inhibitions in a fun way. We wanted to organise our take on ‘Strictly Come Dancing’ for our team building / Christmas party. Thanks to their professionalism, attention to detail, availability to make everyone comfortable and amazing dancing skills, Nathalie and Bruno helped us organise a wonderful event which my office staff will remember for a long time! Tanguito came along to our charity and facilitated an exhilarating introductory session. They were fantastic at engaging participants of different backgrounds and with different mobility needs, making it a very fun and enjoyable session for all. Everyone came out of the session literally glowing with happiness.